Founded by Hien Nguyen and some of his friends in February 2006, DBFs is a group of multinational off-road enthusiasts in Hanoi, Vietnam. Their purpose is to satisfy off-road mania and travel together to make new friends and to relax the life's stress. Based on that, they gather together for fun therefore all expense of any journey will be shared equally among participants. Monthly Journey will be announced in our event here: http://dirtbiketravel.comn/dbfs-event. We welcome everyone who wants to join us and share our passion together! √ Is this Vietnam motorbike tour? Not at all. DBFs Club is separated from ADV Motorcycle Tours and Dirtbike Travel and all members come join for fun only. √ Are you all racers? We are riders but not racers. We ride to discover the beauties of Vietnam’s wilderness and enjoy the feeling on the road in safety and legal conditions. √ Where are you located? Our office is at 3rd floor, No. 6, B2+3 Dam Trau - Bach Dang Ward , Hanoi, Vietnam. The Dirt Bike Friends Club members usually meet at Gio coffee house at the same address. We take care of club business, including planning Monthly Journey and other community activities. We also have DBFs members who have moved and started other DBFs chapters in Tuyen Quang, Vinh Phuc, Nghe An and Ho Chi Minh city. √ What is the type of your riding? We love riding on multi-terrains to discover remote areas of Vietnam. √ How many members are in DBFs? There are more than 50 active members and we usually have about 20-40 people show up at our monthly journey. √ How often do you have special events? Once a month we have a “Club Journey” or Free Tour of the Month. We also have frequently training sessions at the weekend and parties or coffee meetings everyweek. √ How do I join DBFs? 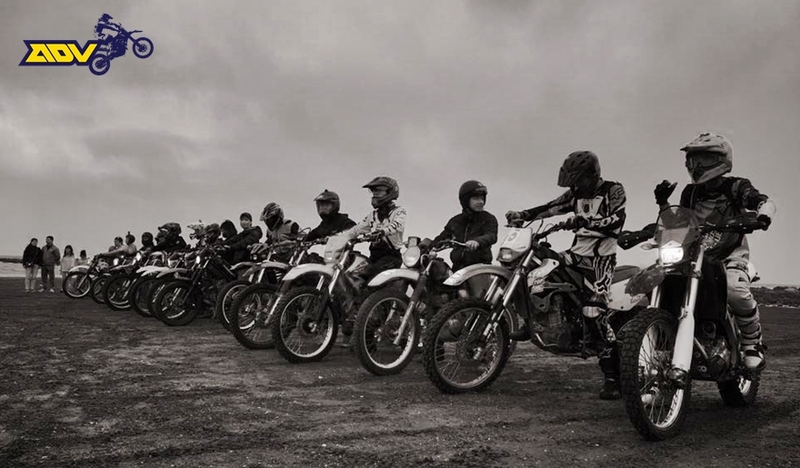 If you’re looking for new friends, new riding buddies or a camping group to camp or simply share the passion of riding, then DBFs is the right place for you. Check out our DBFs facebook and official forum and join the DBFs family.